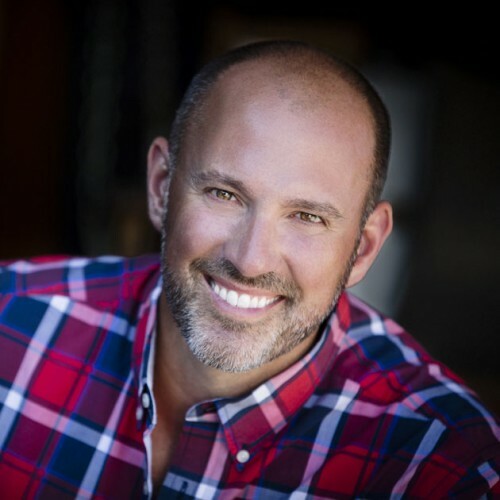 I’m often asked by first time homeowners, or even homeowners with new homes that want to start a garden, “What are some basic plants that I should have in my yard?” So here is my answer for everyone! 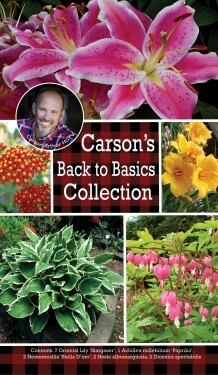 This Back-To-Basics Collection contains my favourite plants that I repeatedly use to create the foundation of a beautiful garden space in any existing garden or when starting a new one that can be enjoyed for many years to come. I always put a showstopper into every garden: that one plant that all your neighbours will ask you about. Stargazer lily is just that…incredibly memorable. 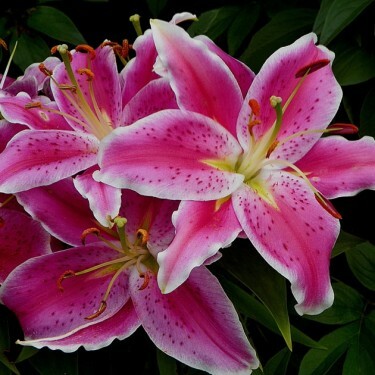 With bright pink blooms that fill the summer air with a rich fragrance, this is the perfect plant to put beside the deck, patio or front door. 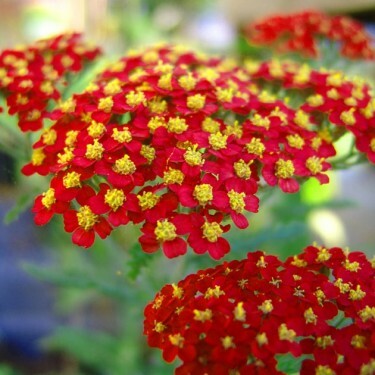 This perennial will quickly become one of your favourites because of the intense red it visually brings to any space. I always plant it because Yarrow does best in less than ideal situations. It doesn’t need to be pampered… making it perfect for both new and experienced gardeners. Pops of yellow all summer long…what’s not to love? 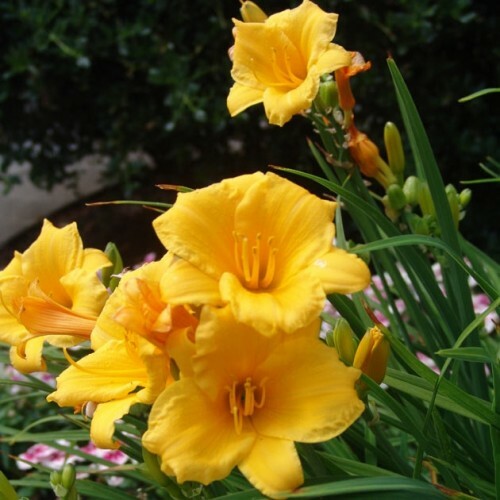 Stella D’oro was the very first plant I studied in horticulture school and even today, it has a prominent place in our yards and gardens. In every garden a hosta must grow! 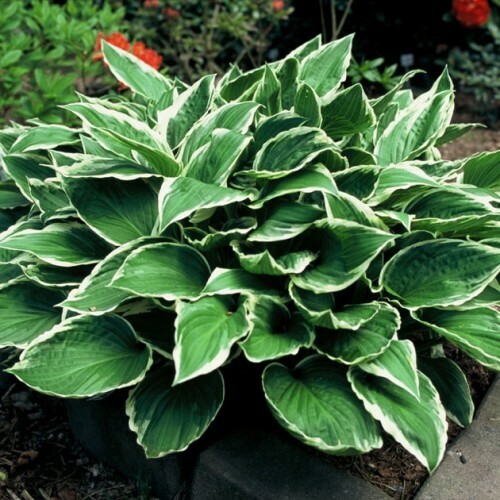 I am a firm believer that the big leaves of a healthy hosta add structure to any space. 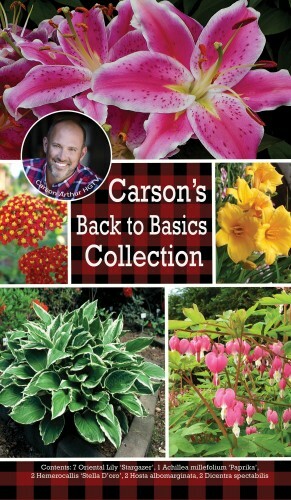 For new gardeners, hostas are one of the easiest and most forgiving plants you can grow, making them ideal in my Back-To-Basics collection. 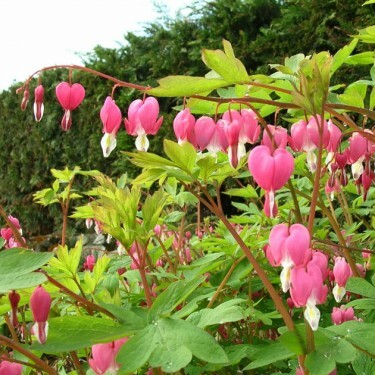 Bleeding Hearts are one of those flowers that make you stop and notice them. The gorgeous blooms on arching branches remind me of my grandma’s garden. They’re such a special vintage plant, how could I skip them?